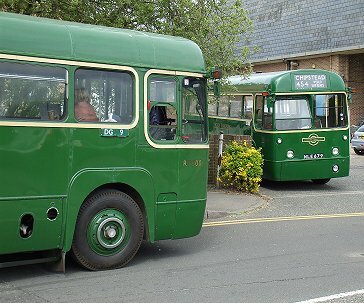 Prepared by Ian Smith, 21st May 2010. 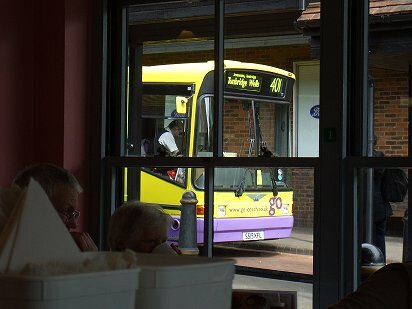 As I sat in the bus station cafe having breakfast I saw something rather different outside: a bright yellow and mauve bus on the 401 (Chartwell-Tunbridge Wells). 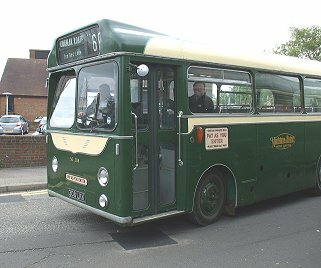 It was Go-Coach's Marshall bodied Dart SLF, once MTL London Northern's DMS19. 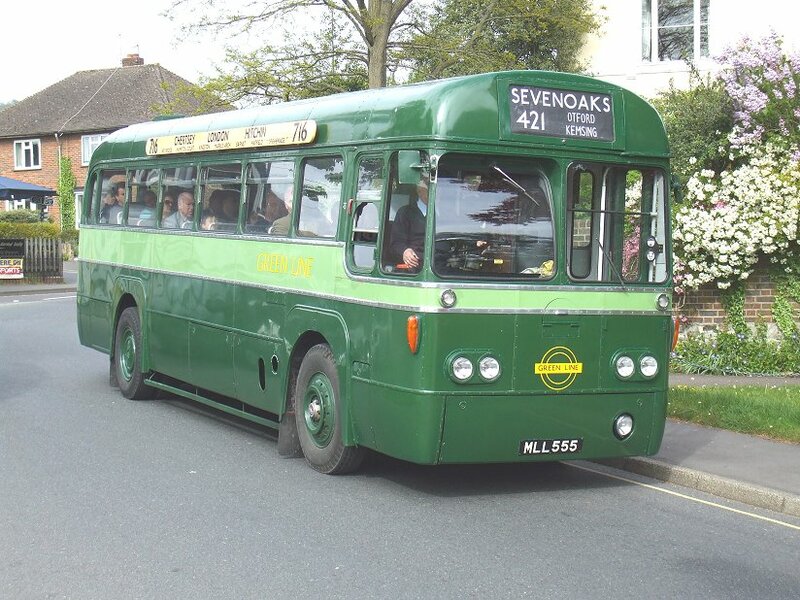 It transpired that Go-Coach of Knockholt Pound had taken over the 401 and 421 the week before. 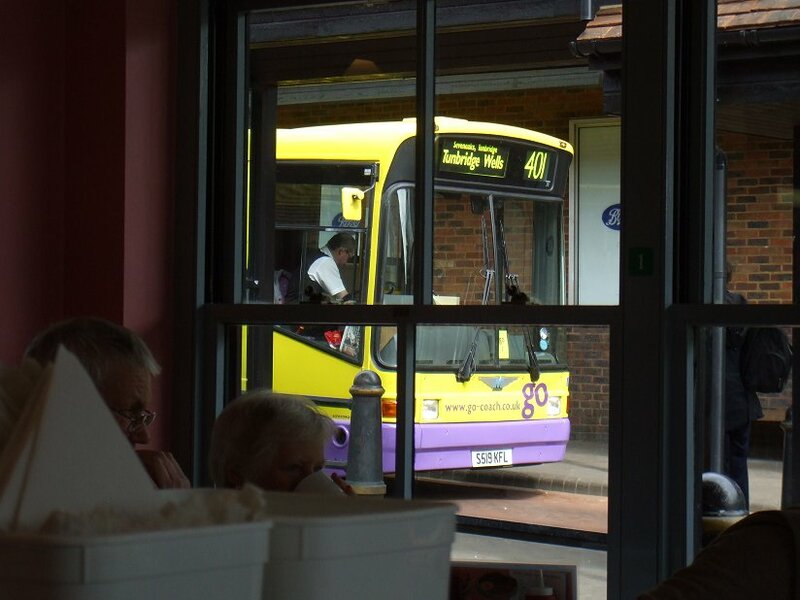 Breakfast done, I went outside to watch arrivals. 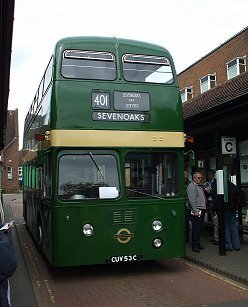 Another bus set up for the 401 - this time the traditional Dartford - Sevenoaks route - was Daimler Fleetline XF3. 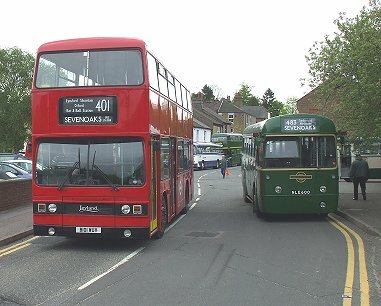 A pair of modernised RFs arrived: RF28 dressed for the 704, complete with roof-boards, and RF168, with route 716 boards but local route 421 blinds. 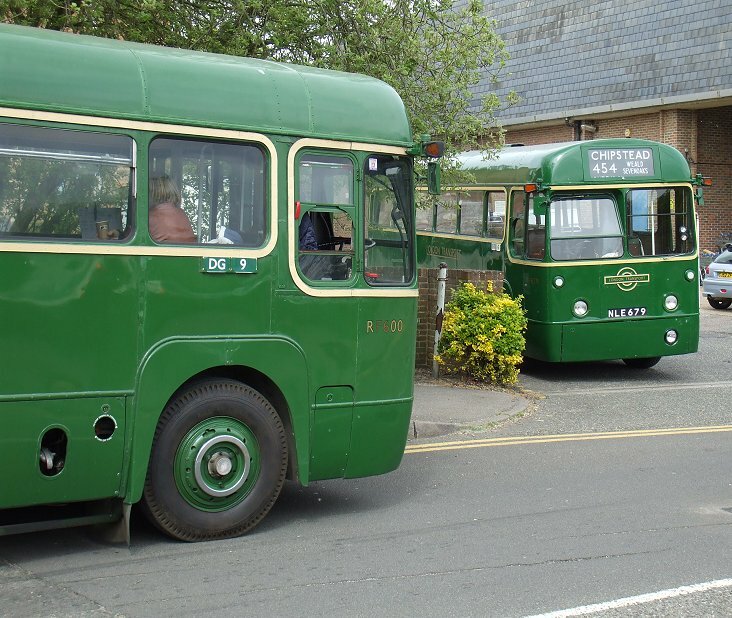 Another RF came in to park, this time Country green RF315 (once a Central bus, and latterly with Memory Lane in green). 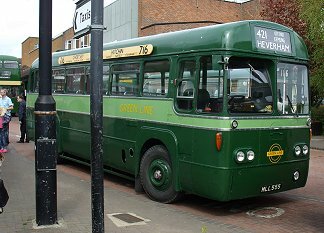 Across the road was preserved Camden Coaches' 900SAF, a 1963 AEC Reliance 590 with Harrington Grenadier coach body. 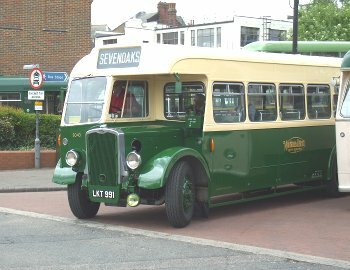 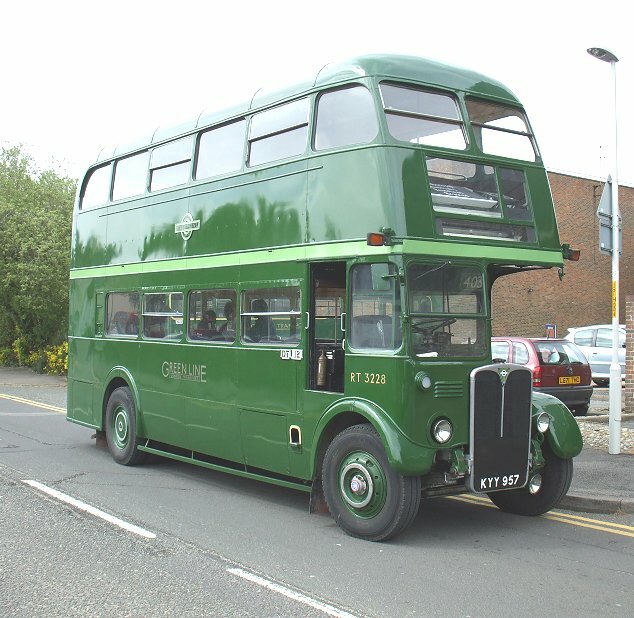 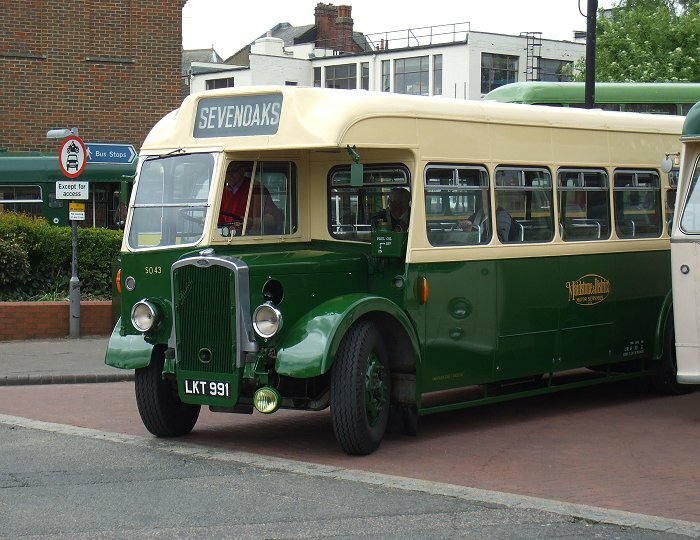 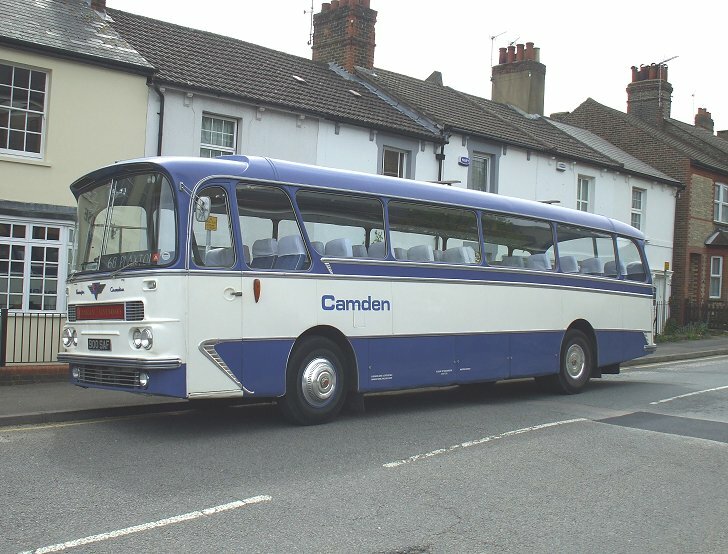 This was to operate again on route 68 to Plaxtol, a route once operated by Camden Coaches. 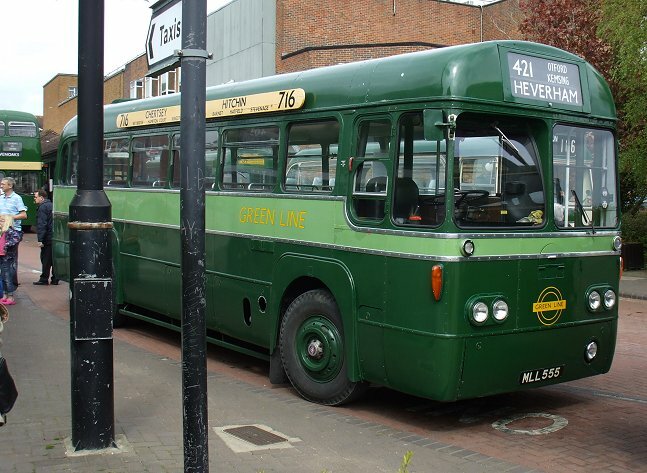 By now it was getting more difficult to find parking places near the bus station. RMC1500, in London Country bus livery, came slowly down the back street to find a place behind the Camden Coach. 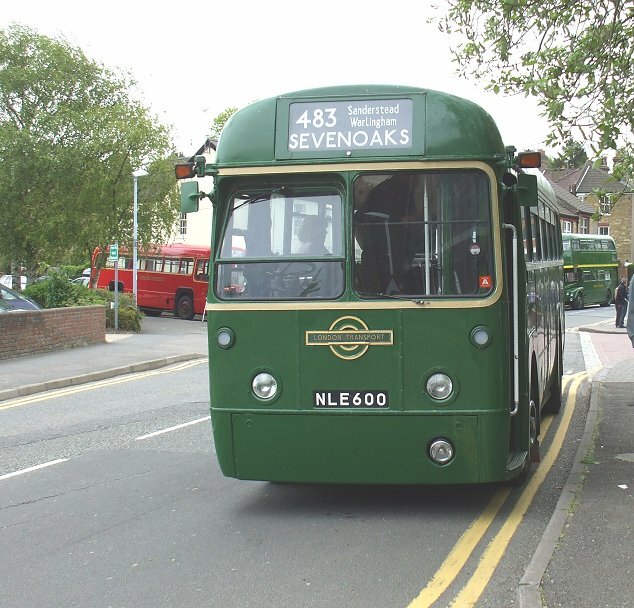 Central Area RF489 was set up for the 413A to Four Elms (almost to Edenbridge, but forbidden to reach the more sensible objective by the London Transoport boundary). RF315, with RF168 had squeezed in at the foot of the bus station. 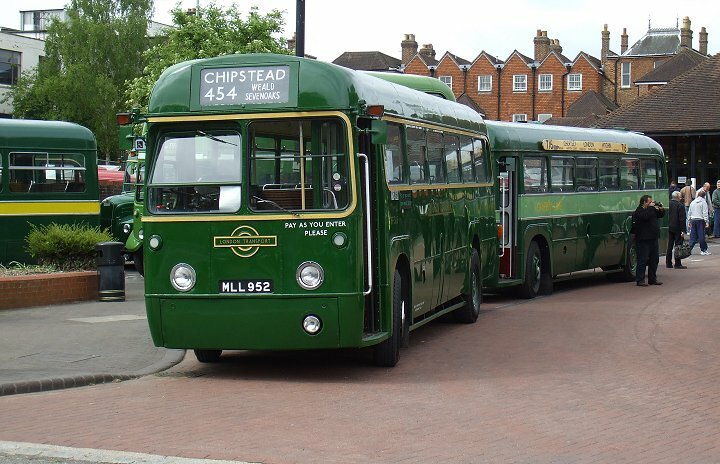 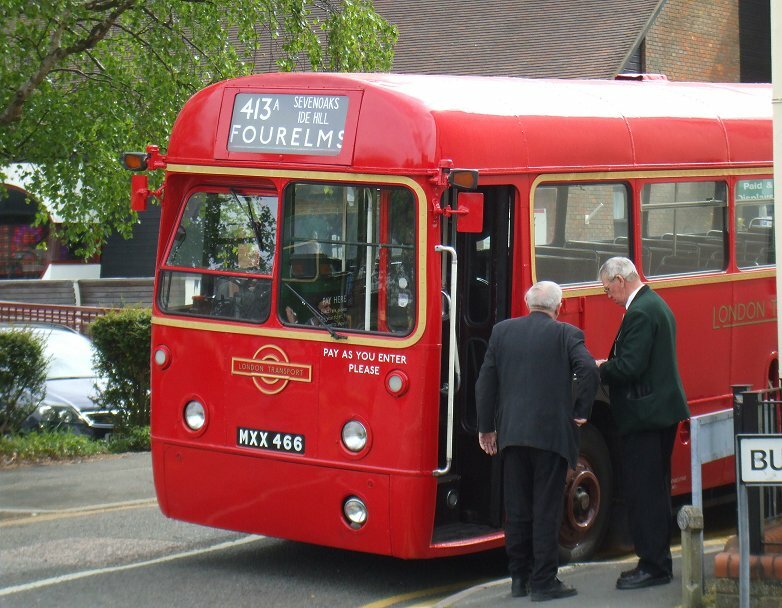 I noticed that RF315 was set up for the 454 again, which brought back memories of a memorable round trip to Chipstead and Tonbridge last year. Maidstone & District dual purpose Reliance SC390 was here again too, parked up ready for work on the 106 to Fawke Common. Green Line RT3228 was parked briefly next to a short length of pavement between carparks, between operations on the 401. 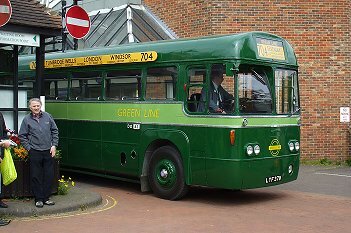 Also set up for the 401 was Titan T1101, which cruised past looking for a perch. 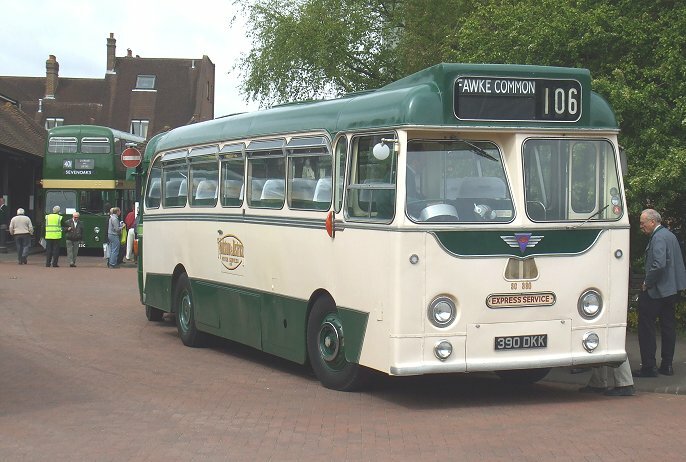 Country RF600 had arrived on the long feeder service from Croydon, along with RT604. 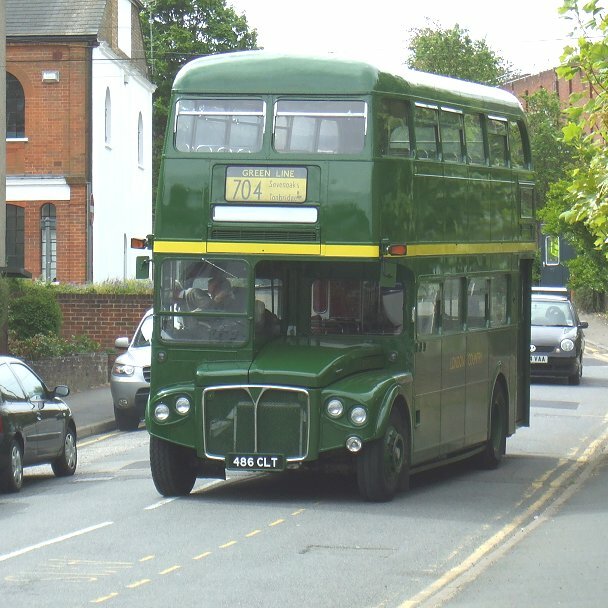 The latter had come as the traditional 403, so the RF600 crew had come as the later 483, which had continued as the through route when the 403 was truncated at Chelsham. RF679 was already parked, ready for the 454. Two more Maidstone & District buses came through the bus station: diminutive Albion Nimbus SO308, and older rear-entrance Bristol L6A/ECW SO43. 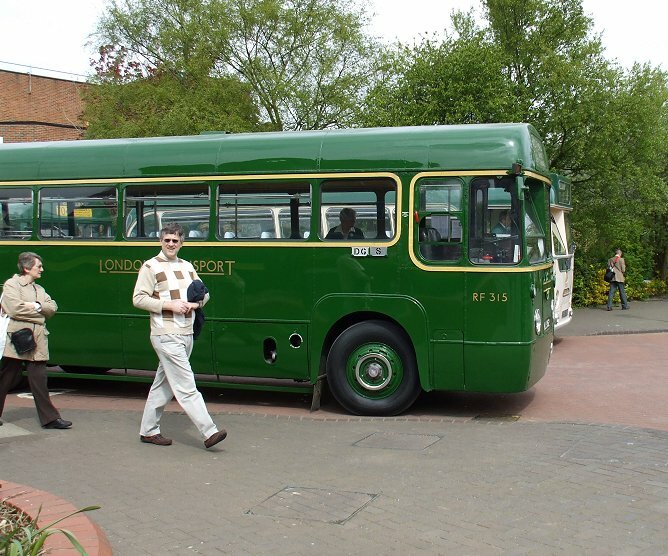 Now it was time to actually go somewhere. 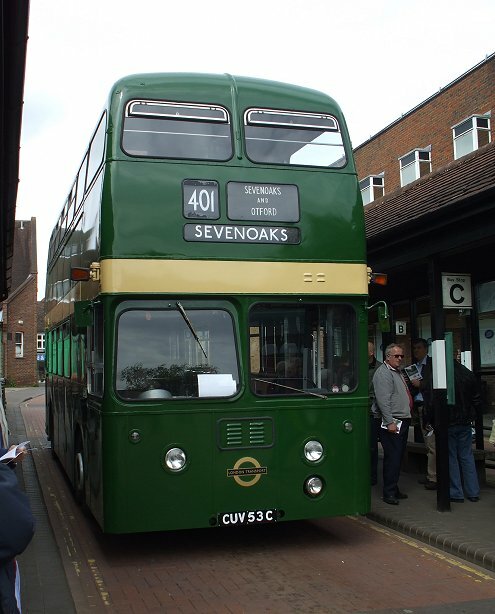 I walked up into the bus station, where I found MB90 ready to go to Chipstead..